Look up when you hear a splash and a pop. There’s shrimp jumping. Another. Another. Followed closely by a wake. And there’s a back out of the water. “Pop” there goes another shrimp. Make a cast. First one short. Second one right in the middle. Line goes tight right away. 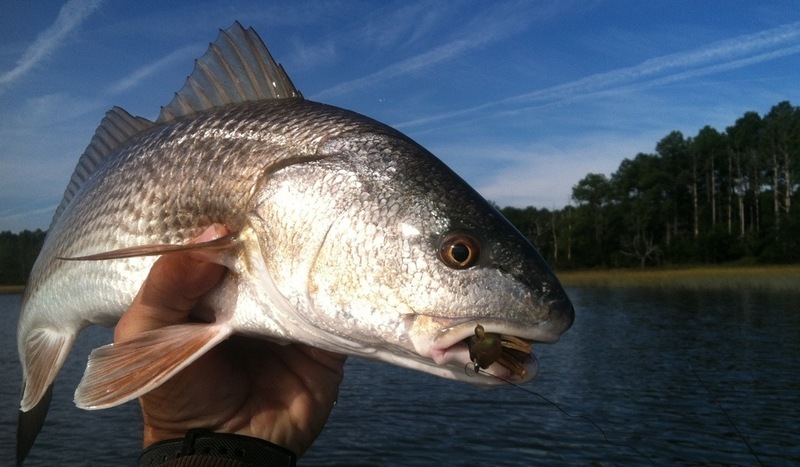 Nice redfish. Makes a good run across the creek. Good fight. Nice fish. Thanks buddy.